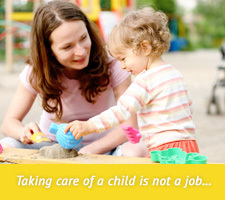 Motor Development, Physical Development, Health & Personal Care and Safety. Social Development and Emotional Development. Logic and Reasoning, Mathematics and Numeracy, Science, Social Studies, Family, Community & Culture and Creative Arts. Language, Communication, Literacy English Learners. Our nurseries in Abu Dhabi and Dubai promote diversity, child empowerment and learner-centric approaches using emerging themes like creativity, critical thinking and social-emotional literacy. We believed that each child is competent and capable. However, natural talents and capabilities can be cultivated through training and fostering the spontaneous growth process. We will endow each child with the basic skills needed to develop academic excellence, a sense of independence and social skills, believing that these traits will lead to success in future experiences. We provide a well balanced approach to learning where the children develop intellectually, physically, emotionally and socially; keeping in mind the skills that go beyond reading, writing and math.. In order to deliver a holistic approach to education, we provide opportunities for developing the whole child. From singing, playing, exploring the outdoors, caring and inviting atmosphere, passionate and charming teachers, your child will surely have the best chance to grow, learn, and imagine. We never miss a possibility to teach. Each activity is connected to the theme and sequentially aligned to the developmental domains. We respect children’s love to choose their own activities; therefore we try and balance between teacher and child-directed experiences. We teach themed based relevant lessons. For example, children learn about fishing in the summer and planting in spring. Learning will continue with the parents at home. Infants and toddlers need a safe, nurturing environment to begin discovering the world around them. Our nurseries in Abu Dhabi and Dubai are carefully designed and assessed in order to learn and improve your child’s educational foundation in the best way. This is a delicate stage in any child’s life. Children of preschool-age are slowly acquiring their independence and quickly developing. Our nurseries in Abu Dhabi and Dubai offer an early education program to balance between nurturing preschool-age children and encouraging discovery of the world around them, while carefully directing children toward the more structured classroom experiences ahead.